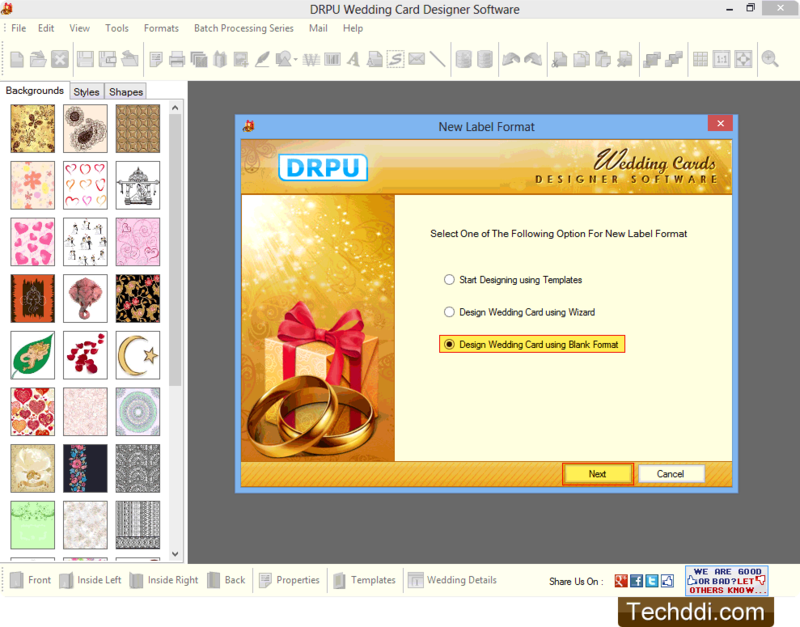 Select any one option for new label format. 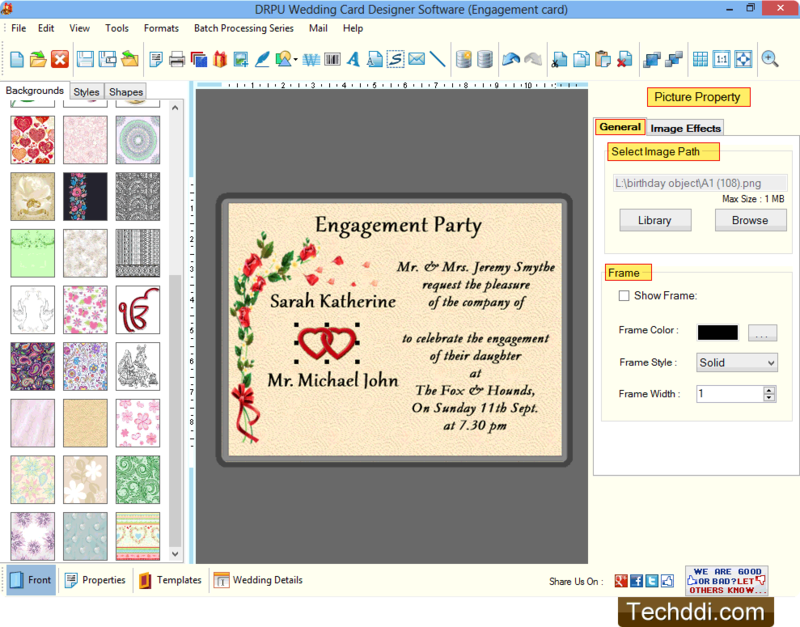 Here we have selected 'Design Wedding Card using Blank Format' for demonstration. 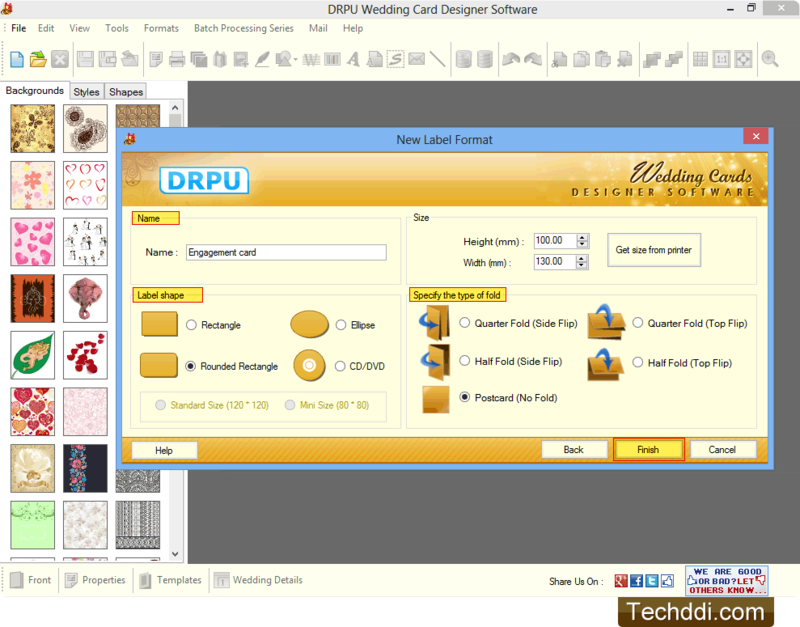 Enter label name, size, select label shape, specify the type of fold and click on Finish button. Add text on wedding card and adjust text properties. Select font family, font style, font size and click OK button. 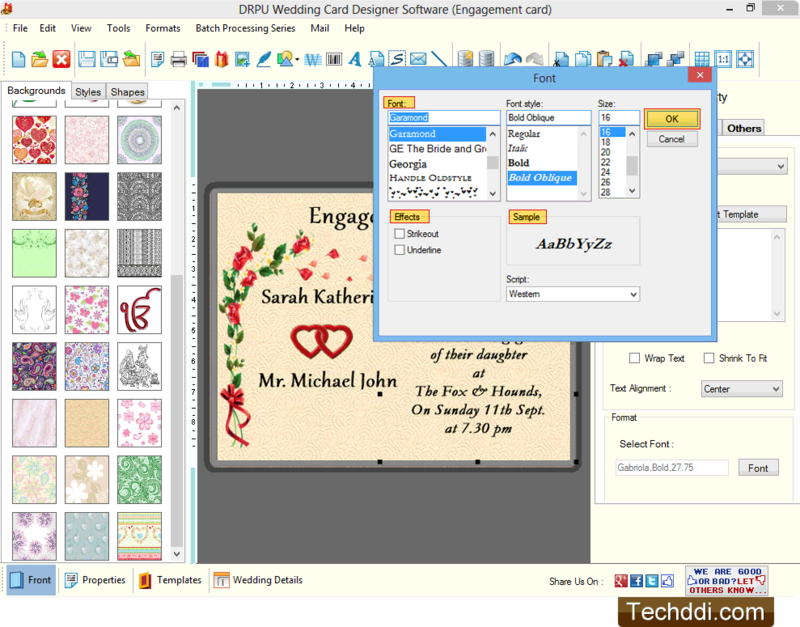 You can add picture on card and adjust various picture properties. 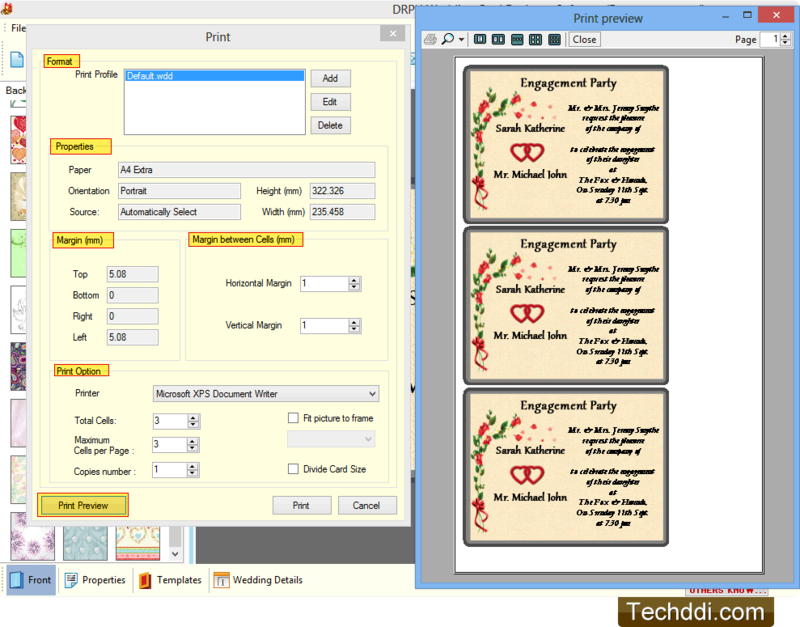 Fill various print properties and click on Print button to print designed card. You can also see the print preview of designed cards.